Ali Shirazinia, commonly known by his stage name Dubfire, is an Iranian-American house and techno DJ and producer. 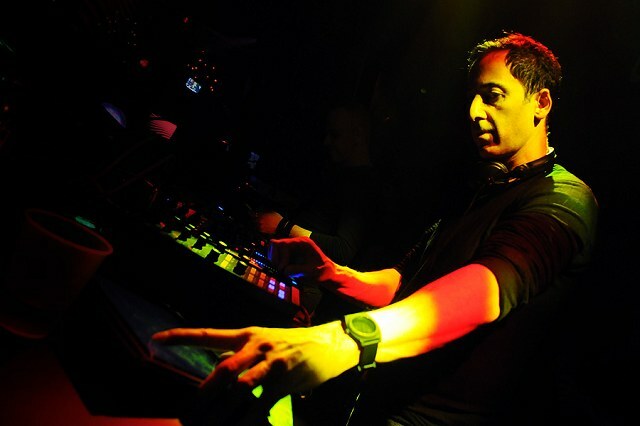 Prior to his solo career, Dubfire was one-half of the four-time nominated and Grammy Award-winning duo Deep Dish. Dubfire's style is noticeably different than that of Deep Dish, consisting of techno instead of progressive house. Shirazinia was born in Iran and later moved with his family to the Washington, DC area, where he spent much of his youth playing the guitar in school bands and listening to mostly classic hip-Hop, jazz/rare groove, dub reggae, new wave and industrial. Shirazinia was also influenced by the local punk scene and the music of Washington DC-based bands including Fugazi and Minor Threat. Shirazinia frequented a local record store called Yesterday And Today Records, where he became acquainted with the sounds of artists like Kraftwerk, Ministry, Jesus & Mary Chain, Depeche Mode, Nitzer Ebb, Adrian Sherwood of On-U Sound and Einstürzende Neubauten. Shirazinia's solo sound differs noticeably from that of Deep Dish. His production I Feel Speed, which is a cover of an obscure Love & Rockets song, features his own vocals. Shirazinia also sings in In Love With a Friend on Deep Dish's debut album. I Feel Speed has appeared in the advertisement of the Volkswagen Eos. In 2007, Shirazinia announced the launch of his new record label, Science + Technology Digital Audio or SCI + TEC. The label acts as an exclusive outlet for Dubfire's original productions and is a home for up and coming artists from around the globe. Dubfire's single Roadkill has been nominated as Club Banger Of The Year by the Club World Awards.